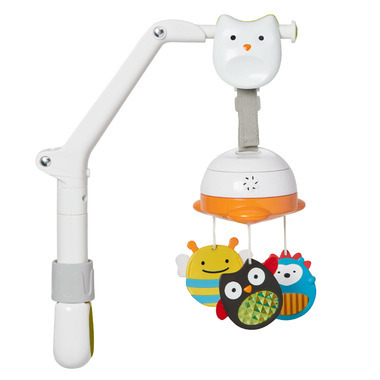 Skip Hop Explore and More 3-in-1 Travel Mobile entertains baby on the go with this take-along mobile! 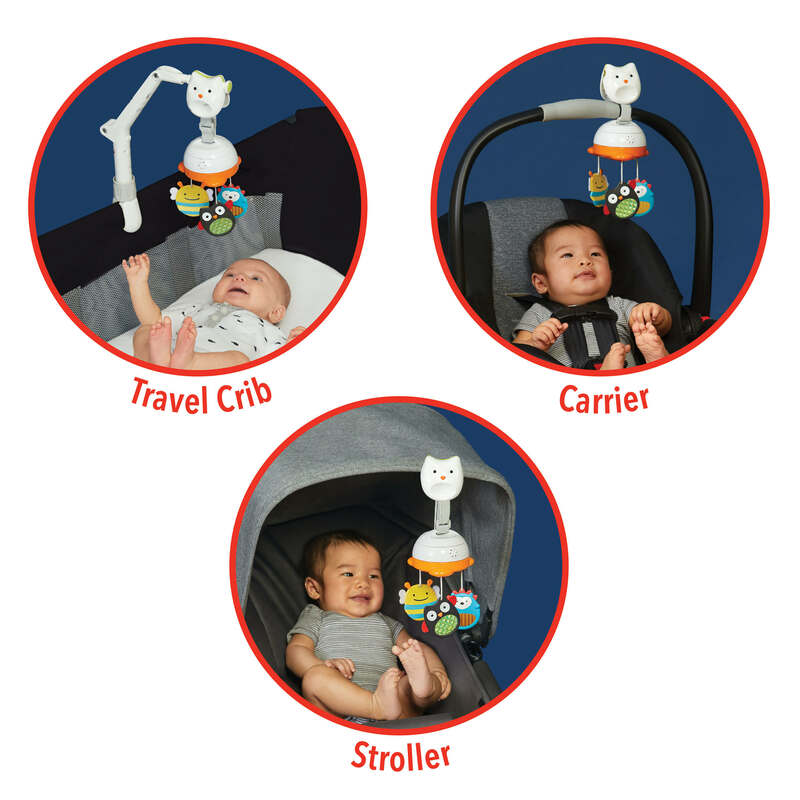 This portable baby mobile easily attaches to cribs, strollers and car seat carriers to engage and soothe baby with movement and music. Whimsical animal friends feature bright colours and light-catching prisms for maximum engagement. Offering 20 minutes of music, this travel baby mobile has a fold-down arm so you can take it anywhere.